BMW’s Augusto Farfus took victory ahead of Mike Rockenfeller at Zandvoort, but it was the Audi driver who took the 2013 drivers’ title. Farfus stamped his authority on the race after making a clean start ahead of Rockenfeller, who managed to jump pole-sitter and BMW stable-mate, Marco Wittmann. Rockenfeller was under investigation for making a jump-start, but come the end of the race, the newly crowned DTM champion went unpunished. The Brazilian then used the pace in his RBM prepared M3 to build a lead of around four seconds before the first round of stops, despite increasing pressure from Rockenfeller, who took advantage of his Audi RS 5’s pace on the softer Hankook tyre. Farfus made his first stop on lap 13, and his strong pace in the opening stint allowed him to jump Rockenfeller, who pitted on lap 15, to stay at the head of the field to claim his third victory of the 2013 DTM season. 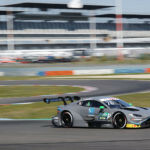 Timo Scheider finished third to take his first podium since the Lausitzring in 2011, ahead of Abt Sportsline Audi’s Mattias Ekström, who charged from 11th to fourth after he elected to use his option tyres for his last stint. 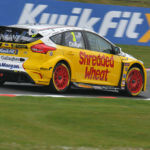 The Swede also benefited from the late Safety Car period, which was brought out as a result of the accident between Dirk Werner and Ekström’s team-mate, Jamie Green. The pair collided at the Arie Luyendijkbocht, with Werner’s BMW M3 ending up in the gravel. 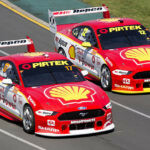 The ensuing Safety Car period then bunched up the field, which was still led by Farfus, and allowed Ekstrom to move from seventh to fourth on the 44th and final lap. Marco Wittmann finished fifth after starting from pole, and ended his day ahead of Audi’s Adrien Tambay, who rounded out the top-six. 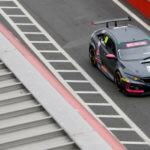 Gary Paffett, who had a difficult weekend from the outset, finished ninth between the two Audi drivers, Filipe Albuquerque and Miguel Molina. The Briton also finished as the best of the Mercedes drivers. Paffett’s HWA team-mate, Roberto Merhi, was the only other casualty in the race apart from Werner.